It’s pretty clear that the New Orleans Pelicans do not want to help the Los Angeles Lakers in any way land their franchise star Anthony Davis. Reports claimed that they needed to be “overwhelmed” with their offers, but the Lake Show offered the entire farm and were still denied. 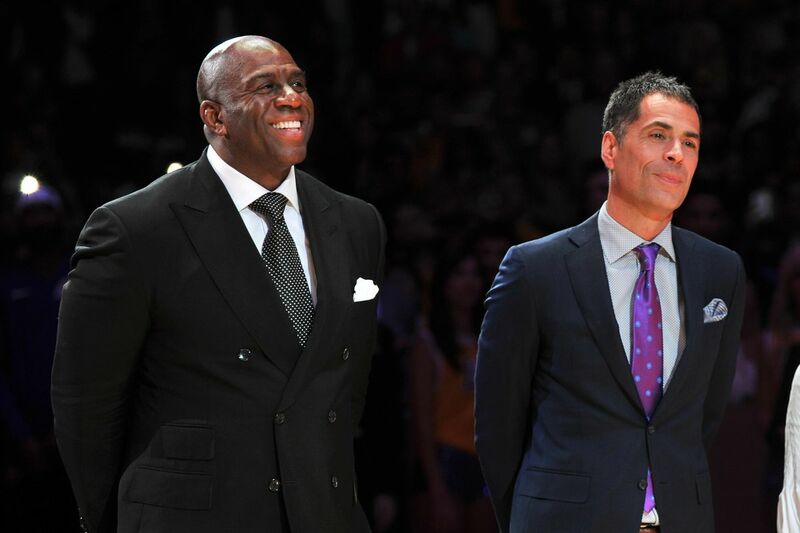 According to the LA Times, Magic Johnson and Rob Pelinka had decided to take another route and are pulling out of talks with the Pels because of outrageous requests, like four first round draft picks and all of their young talent. According to Broderick Turner, the Lakers changed their offer twice at the request of the Pelicans. The deal included Lonzo Ball, Kyle Kuzma, Brandon Ingram, Josh Hart, Ivica Zubac and Kentavious Caldwell-Pope, as well as two first round picks. They were even willing to give N.O. salary-cap relief by taking back Solomon Hill‘s contract. Ultimately, the Pelicans wanted “more and more” and none of those talks materialized. It doesn’t seem like New Orleans is willing to trade Davis before the deadline and will wait until the summer to deal him. Will they even counter the Lakers’ offer at the 25th hour? It remains to be seen. This breakup is turning ugly, though.